Earlier in December 2014 Wheels24 reported the death of SA actor Thabang Sidloyi in a horror crash on the N2 outbound from Cape Town. Sidloyi was one of four people in a BMW convertible that was being driven by a friend. He was flung from the vehicle and killed when the car hit a concrete barrier after what looked like a very dangerous overtaking manoeuvre. 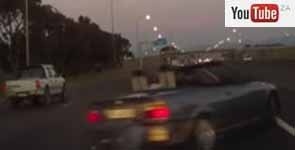 A video posted on YouTube shows the silver BMW clearly speeding, clipping another vehicle and smashing into the freeway's central reservation. My sympathy and thoughts go out to the family of Thabang Sidloyi. Such a tragic loss of a talented young man's life. Wheels24's Sergio Davids is so right in his comment on a video featured on News24, it is not only speeding that is a factor but irresponsible driving. Exactly what the driver did to lose control, apart from driving at an apparently high or unsafe speed, is unclear from the footage, as well as what caused him to lose control. Western Cape MEC Donald Grant is correct about the importance of wearing a seat belt and that SA drivers - and especially passengers - don't wear them. This is a major contributor to road deaths and serious injuries relating to the brain and spine. Sadly, if you conduct a spot check during December/January, virtually 99% of passengers will not be wearing a seat belt. It's the law and one in place to ensure safety, but it's NOT enforced in SA. Drive safe, maintain appropriate following distance, obey speed limits and demonstrate responsible driving. Movie star Thabang Sidloyi could still have been alive had he buckled up, says Western Cape Transport MEC Donald Grant of the horror crash in which the Cape actor was flung from a car. 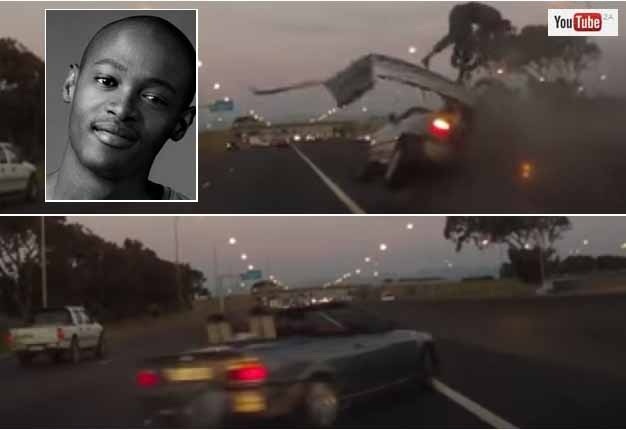 A video posted on YouTube shows Cape Town actor and musician Thabang Sidloyi being killed in a horror crash on the N2 just outside the city. Warning: graphic imagery.